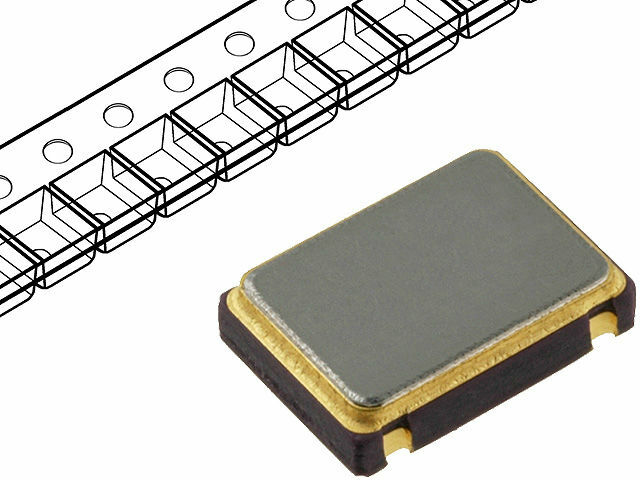 Miniature crystal oscillators CFPS-9 series operate with the voltage of 3,3 V and are characterized with low current consumption which is maximum 20 mA. Hermetically sealed in ceramic 5,2x3,4 mm enclosures are characterized with high long-term stability (±3 ppm during the first year of operation). They are resistant to mechanical shocks up to 1000 g and operating temperatures from -40° to 85°C. They have been designed for battery devices with components high packing density.